We are witnessing history with this latest episode of Inside Pop! This is the last episode we’ll release before our country elects a new president. 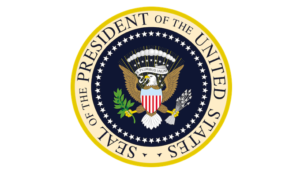 In honor of this historic moment, we each countdown our top 3 favorite FICTIONAL pop culture presidents; from President Whitmore of Independence Day to President Palmer of 24 to President Shepherd of The American President and many more. We also share our experience attending the Producers Guild of America’s Produced By NY conference. The event was a who’s who of producers in film, television and digital programming. 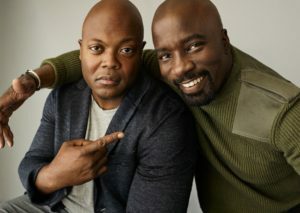 We’ll give you the inside scoop of on everything from what Chris Rock thinks of Donald Glover’s Atlanta to our exclusive interview with the creator and showrunner of Marvel’s Luke Cage, Cheo Hodari Coker. We also take a moment to wrap up the biggest project Inside Pop has ever tackled – The Big Sell 30 Day Challenge! We discuss the highlights, shout out all of our collaborators and let you know where to go to find all of the Big Sells in one place. And we return to our regular Big Sell format allowing Amita to sell Sean on a song he’s never heard of, written by one of her favorite singer/songwriters and sung by one of his favorite vocalists. All of that plus Sean performs one of the worst Morgan Freeman impressions ever recorded!